A SENIOR trade unionist at the Royal Victoria Hospital has denied that the A&E crisis is down to a surge in patient numbers and has instead placed the blame for the chaos on the decision to close the City Hospital emergency department. In November 2011 the Belfast Trust said that it was closing the City A&E as a “temporary” measure in response to a shortage of senior doctors. But there’s no indication that the City Hospital emergency department is to reopen and warnings at the time by unions that the closure would turn out to be permanent would seem to have been borne out. At the weekend an extremely busy RVH casualty unit witnessed long delays, with patients requiring beds forced on to corridor trolleys and chairs. The gridlock comes a year after a massive A&E logjam forced the hospital to declare a ‘major incident’ as the number of patients waiting to be seen soared to unprecedented levels. The Belfast Trust said long queues and lengthy waiting times at the weekend forced them to bus patients from the RVH to the Mater in North Belfast in order to alleviate some of the A&E build-up. And we’ve learned that tensions are building between the two hospitals, with Mater A&E staff complaining to some patients that the RVH is routinely channelling patients to them without letting them know. Now trade unionists at the RVH are to vote on whether to strike – with a vote about to take place on whether to go ahead with a stoppage planned for March 13. 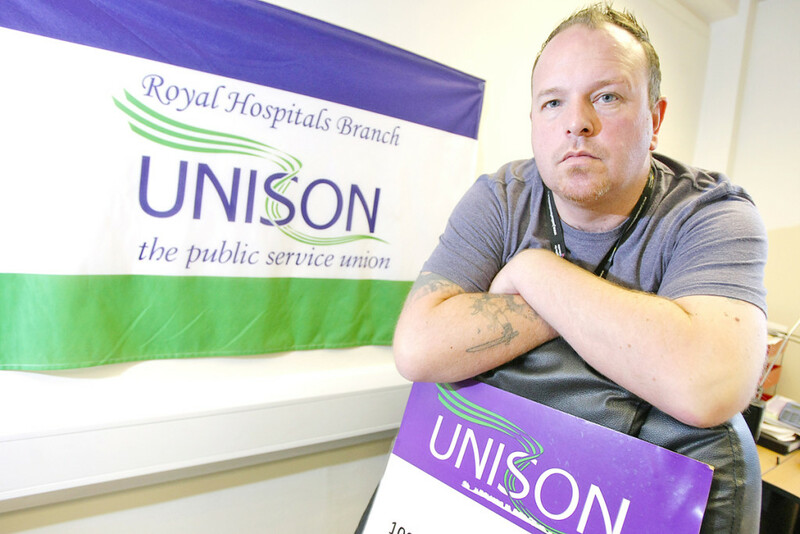 Conor McCarthy, RVH Unison Branch Secretary, told us the “extremely busy” weekend was was par for the course. “It’s the same old story – the only real development here is that these incidents are getting more frequent,” he said. “Almost every weekend we have this massive backlog of patients waiting to be seen in casualty. Staff are over-worked and our patients are paying the price. Conor added that, contrary to media and senior management reports, there was no significant upswing in the numbers he saw reporting to A&E.